Without further ado, here’s our first lesson. Have you ever cured a headache with an Aspirin or Tylenol? If so, have you ever wondered if it was the medicine or the placebo effect (i.e. your mind’s expectation of relief) that caused the relief? Plenty of studies have proven that the “placebo effect” is a real thing. Pills are frequently replaced with inert sugar pills and patients continue to experience pain relief because their expectation is that the sugar pill is going to act like medicine. Why am I telling you this and what does it have to do with making money as a coach? When it comes to the ‘Money Conversation’ (a.k.a. selling your coaching services to prospective clients), you need to speak with your clients in a way that has them believe that what you’re selling is the best darned medicine in the whole world. We’ve spoken to thousands of coaches and although many of them are pretty convincing, one has proven to be the most convincing of them all. 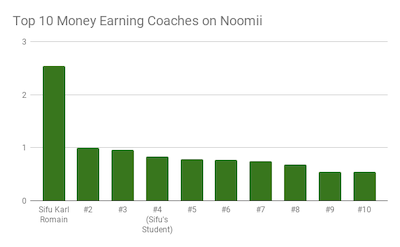 His name is Sifu Karl Romain and he is the #1 income earning coach on Noomii. He is also the person who will be leading The Money Conversation. He has mastered the money conversation and in the next two lessons, we will give you a little more insight into how he's done it. 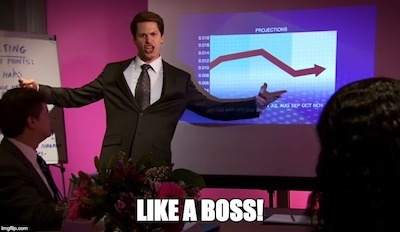 Hint: Contrary to the hilarious Adam Samberg "Like a Boss" image at the top of this post, being convincing during the Money Conversation has nothing to do with being pushy, sales-y, or arrogant. It’s quite the opposite, actually. I am new to coaching, as a profession, and have yet to enroll my first "paying" client. So, I'm super excited for the Money Conversation. Question: What was it like for Sifu Kari Romain to enroll his first multi-thousand dollar client? Good question Ozro, let me ask him and find out. Hi Ozro, It was really exciting. I think it confirmed for me that coaching is a real profession where I can make a difference for my clients while providing for my family. It was also great because coaching allowed me to have a flexible schedule. Which gave me time to be present for my family. I hope that helps. I am curious what are your goals? Feel free to schedule an appointment with me to learn more. I am equally excited about the Money Conversation, I have been successful helping a great deal of people and I look forward to expanding my practice to help even more! I look forward to learning from Sifu in any and all sessions on the, "Money Conversation." I am eager to become one of the top earners on Noomii also:). Sifu, I would like to schedule an appointment with you also...Is the initial consult free to all...or just Orzo:)? Thank you Stephan for providing such awesome information for increasing one's growth and potential.